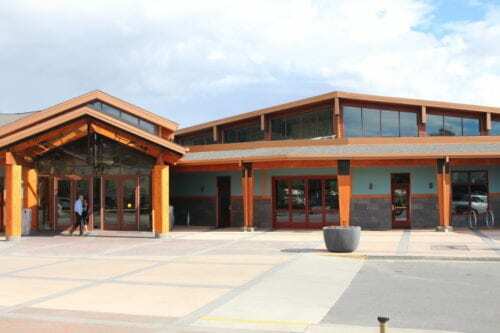 The Sitka Assembly, Thursday (4/11/19), postponed choosing a consultant to conduct an outside investigation of the Sitka Police Department. They voted against approving the hire of a new city planning director on the basis of salary, and they went into executive session to consider questions surrounding the liquor license renewal application for Baranof Island Brewing Company. With high turnover and three pending lawsuits involving department staff, the Sitka Assembly last month voted on first reading to earmark $35,000 dollars toward an outside investigation of the Sitka Police Department. And at Thursday night’s meeting, on second reading, the assembly committed fully to setting those funds aside, but they didn’t decide on an investigator yet. Assembly members Richard Wein, Aaron Bean and Kevin Mosher brought forth a list of potential investigators for the assembly’s consideration. The list included a former police chief, a retired army colonel, and the former lead investigator on the CBS show 48 Hours. The list also included two consulting companies based in Alaska- Last Frontier Consulting in Palmer and Russell Consulting in Soldotna. But several assembly members, including Wein, thought they should hold off on choosing an investigator until new interim police chief Robert Baty, whose start date was April 1, had time to assess the department himself and make a plan for action. Assembly member Kevin Knox asked Interim Chief Robert Baty how he felt about the assembly pursuing an outside investigation. “Does this change anything for you having this? It was publicly put as being a sword to be held over you,” Knox asked. Ultimately they decided to postpone choosing an investigator until the April 23 meeting. And they voted 5-1 in favor of appropriating $35,000 for the investigation, with Kevin Knox opposed. The assembly also considered hiring a new planning director for the city. The position has been vacant since August of 2018. City Administrator Keith Brady offered the position to Bruce Wall, who currently works as a city planner in Soldotna. But assembly member Aaron Bean felt the salary offer of 93,000 with an additional $15,000 in moving expenses was too high. City administrator Keith Brady said Wall’s experience warranted the pay level, and didn’t think the city could afford to go any lower. A motion to approve the hire failed 2-4 with assembly members Valorie Nelson, Aaron Bean, Richard Wein and Kevin Mosher voting against. The assembly also went behind closed doors to consider a liquor license application renewal for Baranof Island Brewing Company. City attorney Brian Hanson said both the city finance and legal departments had concerns regarding BIBCO’s application. “We’re recommending that a protest go along with this particular application due to the failure of BIBCO to pay sales tax and some other interest and fees and cost,” Hanson said. Hanson said BIBCO made the effort to pay the back sales taxes before Thursday’s meeting, but fell short. Chief Financial Officer Jay Sweeney said the amount BIBCO still owed in sales taxes was around $5000. The assembly went into executive session to discuss the matter further, but took no action at the meeting.